Elkann said the new group will have a major presence in Italy. MILAN (Reuters) -- Fiat wants to establish the tax domicile of the new Fiat Chrysler Automobiles group in the United Kingdom to help woo American investors, the carmaker's chairman, John Elkann, told Italian daily La Stampa in an interview published today. The Italian automaker, which this month bought out the minority investor in its U.S. Chrysler unit in a $4.35 billion deal, said on Wednesday the holding group would be registered in the Netherlands and have its tax domicile in Britain, cementing a politically sensitive shift away from Italy. "The advantage to [move our tax domicile] to London is linked to the more favorable rules for American investors, which we hope to attract with the merger," John Elkann was quoted as saying, without being more specific about what rules he was referring to. 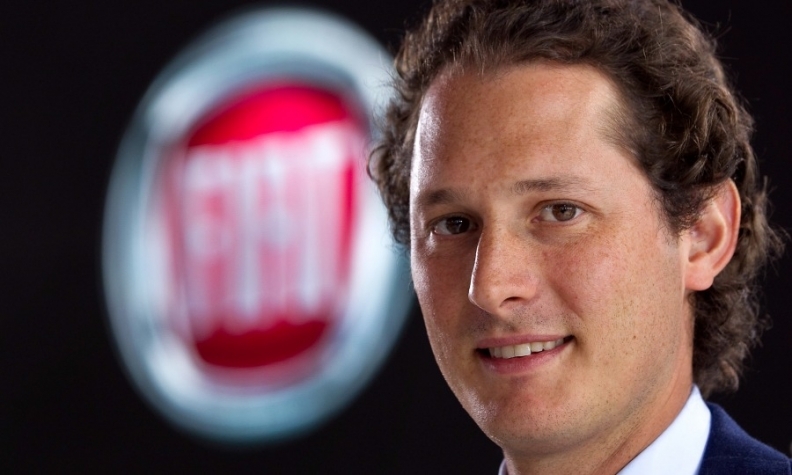 Elkann told the paper that Fiat would not pay less tax as a consequence of these changes. But some experts say registering the group in the Netherlands with a UK tax domicile could ultimately deprive the United States and Italy of tax revenue on some of the company's overseas earnings. Elkann reiterated that the new group would not move its 115-year-old headquarters out of Italy. "The merged company will have more than one headquarters ... with Turin at the center of a huge market that covers Europe, Middle East and Africa," Elkann said. Elkann said plans to relaunch the group's Alfa Romeo brand were at an advanced stage and fitted within a strategy of betting on high-end market segments that had proved very successful with Maserati. "The time to relaunch Alfa Romeo has come ... and our country will be playing a key role," he said. Is Chrysler American, Italian, Dutch or &#8230; ?